This 35-year-old C. japonica chance seedling first bloomed in 1983. It was originated, registered and propagated by Vernon E. Howell of Lucedale, Mississippi. 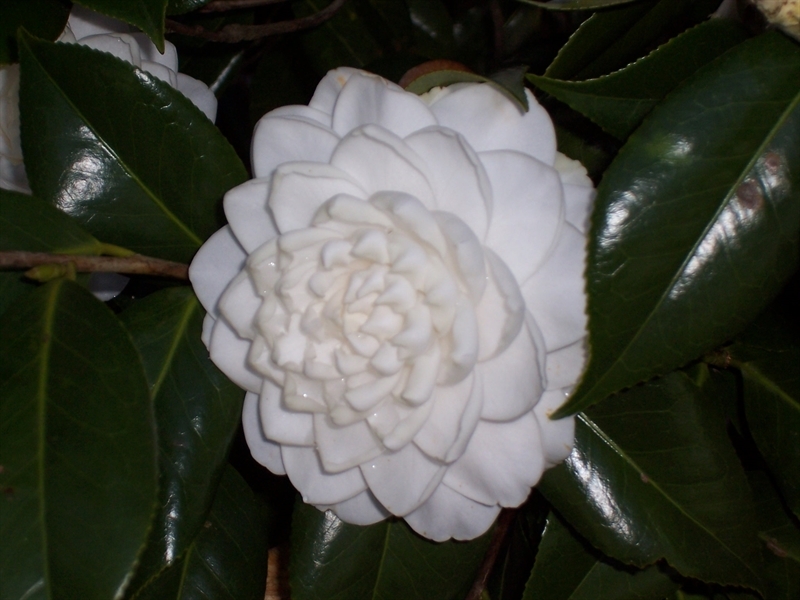 Bloom: The medium sized 3.5” x 2” formal double form flower is white. It is a long lasting profuse bloomer that falls in one piece with heavy petal texture. It has 50 petals with interior pointed petals. Leaf: The medium green leaves average 3” x 2” with medium serration.